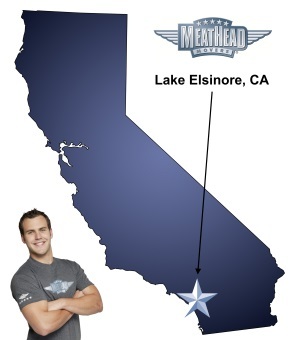 Meathead Movers is here to take care of the heavy lifting for you on your move to Lake Elsinore. Our clean-cut student athlete movers are ready to get you safely settled into your new Lake Elsinore home. For many years, Lake Elsinore was one of Southern California’s best kept secrets. Long beloved by SoCal locals for delightful water recreation and camping, more and more people are moving to Lake Elsinore for year-round living. And why not— Lake Elsinore is the largest freshwater lake in southern California and there is plenty of fun (and work) to be had at places like La Laguna Resort. If you are thinking about calling the Lake Elsinore area your home, have we got a deal for you. We are Meathead Movers and we are unlike any other moving company you’ve ever met. Founded by two teenage brothers in 1997, Meathead Movers is now the #1 independently owned moving company in California. When you require speedy Lake Elsinore movers, we are the moving company to call. We employ vetted student-athletes who jog when not toting your belongings. If you’ve ever seen other Lake Elsinore movers on the job, you’ve probably noticed that many of them slack off between loads. Not our guys. Meathead Movers are dedicated to getting your move done quickly and carefully. Many people who move to Riverside County need a place to stash their belongings. Meathead Movers can help you find secure climate-controlled storage where your household goods, furniture and other things will remain dry and safe until you’re ready to move all the way in. We also offer reliable packing and our distinctive moving concierge service, which connects you with local service providers. If you’re moving to Lake Elsinore, we are the movers for the job. With our 100% satisfaction guarantee, the only thing you have to lose is the stress that comes from moving! So contact us today for a free no-obligation moving quote and to learn how we can help you on your next move! Moving to Lake Elsinore? Here are some helpful resources. View more Lake Elsinore resources. Everything!! Your guys took every challenge in stride, from tons of heavy boxes to maneuvering the trucks on our narrow mountain roads to getting our to-big sectional couch through the narrow door. Great communication, great since of urgency, hard working associates, polite people, on time , great follow through!! Eagerness to help, speed,yet still careful of surroundings and my items!!! Guys we're the BEST!!!! Can't wait for my home to be built so I can have these same guys come and move my furniture and precious family items !!!! We thought the service was everything that was promised and the young men who moved us were friendly, professional, and caring!